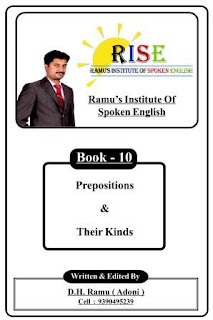 Preposition is one of the important parts of speech of English grammar. It is very essential while making a sentence as it provide additional and necessary details. Prepositions in English are words giving information to the readers such as where something takes place, when something takes place, why something takes place, general descriptive information, etc. Prepositions work in groups of words (also called prepositional phrases) and do not stand alone.